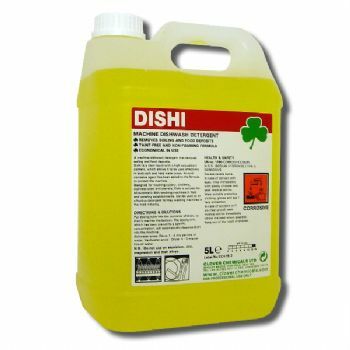 Dishi is a clear liquid with a high sequestrant content, which allows it to be used effectively in both soft and hard water areas. An anti-corrosive agent has been added to the formula to protect the machine. Designed for washing cutlery, crockery, stainless steel and utensils. Suitable for all automatic dish washing machines.